Whanganui artists Glen Hayward, Elva Abbott and former WHS student Mikayla Baldwin are preparing their Arts Review entries. Every year local artists produce a stunning array of works to enter in the Whanganui Arts Review and the time for 2019 submissions is almost here. Submissions will be received at the Sarjeant Gallery on February 26 and this year will see some exciting changes to the 30-year-old competition. Wellington consultancy company patillo has become the principal sponsor for the Arts Review which now offers a $5000 (previously $2000) prize to the winner of the Open Award as well as a solo artist exhibition at the Sarjeant the following year. Patillo founder and co-director Anne Patillo says she did not give an immediate "yes" answer when approached by Sarjeant Gallery director Greg Anderson. "I wanted our contribution to be more than just a financial one. "I was very impressed with the way the Sarjeant team went away and worked out how they could offer something more to an artist." Sarjeant curators will mentor the winning artist to bring their exhibition together. Her company has already contributed to the Sarjeant Gallery redevelopment project and patillo says it is a privilege to be part of something so significant. The Sarjeant Gallery turns 100 this year and patillo says there are good reasons for its longevity. "You don't get to be 100 without doing something right and the Sarjeant has great standing both nationally and internationally." 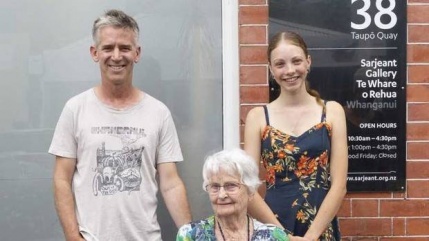 The philanthropist says she has no connection to Whanganui other than a long-standing love for the Sarjeant. "My partner and I stopped off in Whanganui while taking a holiday along the west coast years ago and I fell in love with the gallery. "The building and the aspect looked wonderful and inside was a treasure trove." This year, the Open Award becomes the patillo project and there are still 10 other categories with Whanganui sponsors. Anne Patillo says it is a privilege to sit alongside those sponsors and she praises their long-term commitment to the awards. Another new sponsor this year is Dalgleish Architects of Whanganui who will sponsor a second Excellence Award worth $1000. Elva Abbott has been submitting her paintings to the Arts Review since it began and says the awards have been wonderfully affirming for her. 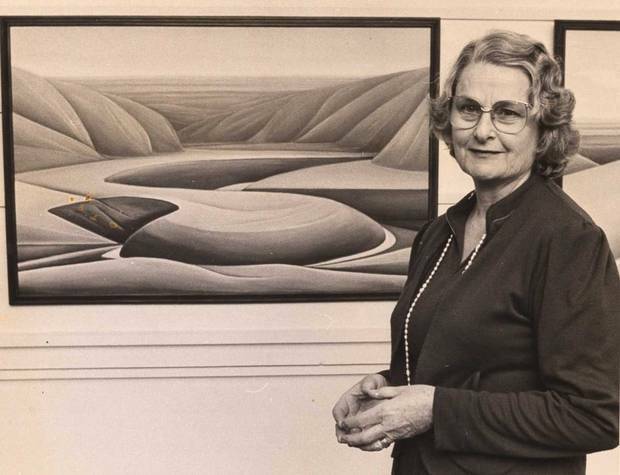 With no formal training, she took up painting at age 42 and developed her ability to paint local landscapes. "I think creating art is the most irritating pleasure a person can have," she says. Now 92, she still loves to paint and will be submitting one of her works this year. Sculptor Glen Hayward does have an arts degree but says he loves the openness of the Arts Review. "It's a great leveller," he says. "It gives artists a sense of belonging to the community and feeling like you're part of a group because our work is solitary." Mikayla Baldwin, at 18 will be submitting her work for the third time this year and says she loves the inclusiveness of the awards. "It provides a fantastic opportunity for young people. Everyone can enter and youth and inexperience don't matter." Baldwin was the inaugural winner of the Fine Arts Whanganui Young Artist Scholarship in 2017 and says it would be wonderful to add an Arts Review prize to her resume. The youngest Arts Review winner in 2018 was 12-year-old Oscar Toy who won the Renata's Art & Framing Merit Award for his pen on paper drawing.